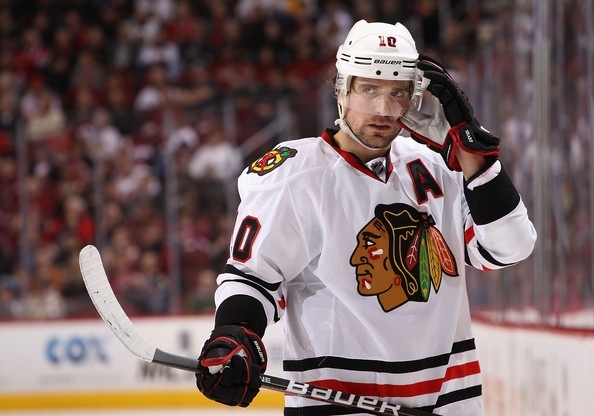 Patrick Sharp's terms in CHI, $800K base salary and $200K in GP bonuses for $1M package. Sharp, 35, was limited to 18 points in 48 games last year. His season ultimately ended because of hip surgery in March, a procedure that reportedly would have required five months to fully recover. The Blackhawks traded Sharp to Dallas with defenseman Stephen Johns on July 10, 2015. Trevor Daley and Ryan Garbutt never worked out in Chicago. I’m fine with Sharpie for under $1M – a no loose proposition. If he can contribute then you have him for under $1M – if he can’t you can bury him in Rockford with no cap consequences. It would be nice if we had an edit function – I could have corrected “loose” to “lose”. Ugh! The Past is past, and Sharpie is in the Blackhawks past. I like Sharp but he hasn’t been a sharp shooter for several years. I guess a good comeback story would be great but they just don’t work out very often. The Hawks need to improve their team speed and tenacity. This doesn’t help in that regard. Besides, I’m still not happy that he fired the puck off Luongo’s shoulder in game 7 OT. That powerplay goal would have been so sweet. Urgh, why? I’d much rather see them develop a younger player. Seriously can SB not indentify young talent that he has to keep finding retreads it’s actually embarrassing at this stage. Curious to see what the actually dollars will be. Yeah, I’m not liking this idea at all. I’ll always love Sharpie, but SouthSideHawkMan is right on all counts. You can’t keep “getting the band back together” in hockey, although I love that Saader’s returning. THAT’S a trade worth making, although we will miss the Breadman. I hope Bowman comes to his senses on this one with Sharpie. I don’t know about you but that’s a pretty balanced 4 lines. Hartman and Hino has some great chemistry and played with BITE. I like that 4th line too. Placating Q after his tantrum last weekend. A brutal move after the failures of Ladd, Oduya and Campbell nostalgia tour. I can’t wait to see a fourth line of Sharp- Kruger- Tootoo. Talk about an offensive juggernaut. Kruger is gone. Trade was agreed upon weeks ago. Actually, Sharp does bring a modicum of physical tenacity and skill with him that has been sorely missing. The scoring touch is gone, but it was in the last cup run too. He’s a good depth guy on any NHL team at this stage in his career, and being paid under his healthy value helps a lot. I’m more optimistic about this than last year’s D reunion. To what end? Not sure. But if it’s just to teach youngsters how to play the game, they’ve had some great teachers the last and upcoming season… 2018 could be fun. Sigh. Alright. Im not thrilled with this. But if its 1 mil or less and theres no 35+ bonus ill accept it. The difference between this and the Ladd and Oduya deals are youre not giving anything up. This tells me either the Hawks arent confident in Schmaltz. Or Sharp is a bottom 6. I wouldbt be opposed to using him as a 3c. I dont see a spot for Hinostroza, he just doesnt do much other than skate. He doesnt kill penalties. Doesnt really score. Isnt good at draws. He does lose the puck trying to be fancy because hes been able to get away with it up until now. Dark bird…sharp is left wing. Hayden more right. I think it is hard for us to not picture a player in his prime. Sharp did have speed and tenacity. His minus 22 rating in 48 games last year indicates he doesn’t anymore. At least not on a regular basis. Still, out of desperation I do share the hope that he could still help. Perhaps like Cullen and Kunitz helped Pittsburgh. Probably wishful thinking. Take Sharp at under $1mm. Trade him for prospects before the season starts. Ernie I imagine there will some kind of games played bonus with his deal. 10 games so much like Campbells last year. Could mean Rutta’s $459,00 bonus stays in Rockford to avoid too much on year end cap hit. While we are at it, lets see if Tony Esposito is available for the backup goalie position…move on already. I hate this. Absolutely hate this. He’s got nothing in the tank and the ugly circumstances of his last year in Chicago, both on and off the ice, are still raw for me. Sharp was a selfish prick his last year in Chicago. I will never forget sitting in my seat at the UC in bewilderment during several games when he actually had the balls to angrily tap his stick on the ice to selfishly demand the puck. He cared about his stats line. That and getting his knob polished by the local weather lady while his wife and two kids sat at home. If a million dollars didn’t mean a lot to this team you might take the chance. They need to create an identity, not re-capture the old one. Don’t they have someone in the sytem that can score as many goals as Sharp might? I agree with Noonan. Cap space is way too precious to throw a million away. The band may be back together but it sure is a sour note to me. Anyone know what- exactly was wrong with the Hip??? 1 year $1.0 million Ill take that deal. Hino- well one thing that Hino does bring… is an ability to chip n chase… one of the Few Hawks that would win most of the races … Hino- actually plays like a few guys On Pens (hair on fire skaters)– albeit without the Toughness. Still can’t figure out How Pens create so much speed/outlets with the Average D guys they skated… Trevor Daley- 2 time Cup champ!!! The reason SHARP is back because of the dreadful drafting BOWMAN has done since taking over from TALLON. MARK KELLEY is awful and PIERRE GAUTHIER the worse pro scout in the league. He cannot produce prospects like ANAHEIM or the PENS. Loses out on ALZNER to HABS, will lose GAGNER to CANUCKS, TVR to CANUCKS, therefore signs SHARP after giving him up for nothing. Again, this is BOWMAN’s fault from the start and his reaction after the playoffs was like a spoiled brat. The real change he needed to make was step down!!! And everyone including all the sports journalists in CHICAGO protect him because he useless father is in the mix. PUT A GM there that COACH Q respects and that tells COACH Q to play and develop the prospects!!! Hinostroza is what he is. He can skate but offers very little else. I hope he isn’t counted upon as one of the 12 forwards because that suggests a weakensss at forward in terms of depth. I have no problem with him being 135th man or on the Rockford shuttle. …one step forward, two steps back. Despite Rufus’ comments, I’ve never believed that there was that big of a problem with Sharp off the ice …… when it actually came to his presence in the locker room. If you look at what the other players, many of them, said after he left, they made it very clear to a man that they would miss his presence. So the rumors switch from players’ wives to the weather babe, didn’t make a difference in the room. And he’s on the cheap. May not work out, might work out. But the kicker is, again, on the cheap. And if he helps out to round out the lines and improve the room, so be it. I tend to side with Big Indian. If he did what was alleged, sleeping with teammates wives and girlfriends I dont think there’s a snowballs chance in hell Bowman would have kept him in the room. That would have destroyed the team. That part of the story came from constant prick Dan Bernstein and former Giants O-lineman David Diehl. Hardly sources with any credibility or history breaking Hawks news. Jamal Mayers sent out a few tweets disputing it. I like this move in the abstract. Whether or not I’ll like it in reality depends upon what else happens today. If we make no other moves, then this is a band-aid on a knife wound. I love Sharpie and what he did for this team, and his veteran presence could truly help with the loss of Hossa in the room. Bottom 6 is where he could fit well. His presence on the PP could help, perhaps a shift or two with Kane – I remember a nice chemistry once upon a time. And the judgements about his alleged infidelities based on a bunch of rumors don’t belong in the conversation. Yes, his numbers from last year are worrisome, but as stated before he had concussion issues and hip problems that surely slowed him down, not to mention being on a team that was riddled with injuries and had goaltending that forced them to have to score 6 goals a night to win. This is a roll of the dice for a team that shouldn’t be risking dollars, but it could pay off. My support of bringing Oduya back didn’t work out so well so I’ll hold off on full throated support. However I don’t see this as a very risky move. For me the interesting question is whether this means Schmalz moves to 3c or whether Sharp will be a 3rd liner. My guess is the former although I think Schmalz needs to put a few pounds on and get much stronger to be a full-time center. Just saw that the Nucks will sign Gagner for 3 years at around $3m per – no thanks. Tommy Wingels – signing w/ Hawks??? Stan— I hope there is a lot more in the works!!! Let’s take a step back and look at this objectively. 1) there is a hard salary cap 2) the Hawks are perpetually up against the cap. 3) its a very weak free agent market. 4) the Hawks cant afford — cap wise -a useful player like Brian Boyle. 5) based upon no movement clauses of rostered players, trades are nearly an impossibility. Let’s compare Kruger v Sharp. 1) Offensively, there is no comparison, 2) Kruger’s cap hit is $2M more than Sharp’s. 3) Sharp’s skating was still fine last year, he remains a better skater than Kruger. Let’s recall, Sharp killed penalties — and quite well — for Q a few yrs ago. He is decent on faceoffs. He was a leader on the team (bald personal allegations have no place on this blog). Based on all the circumstances in place, Sharp is an upgrade over Kruger. Bowman wouldnt make this move if he had other options. He doesnt. I wouldn’t mind seeing Wingels. Very good skater who adds grit to the bottom six. I can see why Q is mad. (even though his coaching staff was part of the problem). What happens if the Hawks miss the playoffs after these moves? I’d much rather the Hawks went all in on Duchene, Radulov, etc. and take their chances down the road. This feels like hockey purgatory. Sharp was a -22 with a 5.5 shoot%, and injured – this smells like bringing Oduya back last season. I understand the severe limitation of the cap, but I don’t see any value added. Wingels might be OK? He doesn’t score much, but he shows-up. Patrick Kane said he was feeling”a little bit of disappointment” at the trading of Panarin. He also said he was ” very emotional” at the news. Kane is very unhappy with the move. No surprise. Not really sure why everyone is all worked up. It’s 800k. For someone who might still have scoring potential and has a history with this team. I mean, even if this isn’t a cup winning team, its still one of the best teams to be a fan of and its kind of nice that all these players over the years are willing to come back for pay cuts. There’s something special in this city and fanbase. I don’t think success hinges on this move. Wingels…..my nephews good buddy. Maybe a trip or two to Chicago for me! Ganderhawk. Perfect assessment. Too bad the clowns on here are too stupid to understand your argument. Dark bird Your dead on. Now are D is suspicious. Shame ? P.S. Wingels signed as well, I don’t know his cap hit, but let’s say $1.75M cap hit for Sharp & Wingels combined. Boyle signed for $2.5M cap hit for two years in New Jersey. I think we can all agree Boyle is a better player for what he brings to the table than Sharp & Wingels combined. This $750k difference exemplifies the tight cap constraints the Hawks have to operate under. Bowman is doing the best he can under the circumstances. If Sharp can play Kruger’s role (which Kruger wasn’t doing very well anyways, regardless of his outrageous cap hit) to some degree, Bowman should be commended. I guarantee you Sharp will score at least 15 goals — that’s more than 3x as many as Kruger has the last two years combined. I tell you why this idiot is worked up. The Hawks are not a Patrick Sharp away from contenders. In a fixed cap league Stan is wasting money when he can’t afford to. Not to mention Sharp was a distraction towards the end here. I can’t wait for Q to roll out Sharp on the PP so I can watch him pepper the goalie with his poor shot selection. Sharp hasnt been worth a damn since the 13-14 season. But that’s just this idiots opinion. Southside, I totally agree. Sharp a waste of money. The Hawks are in partial-rebuild. They should be aiming 2-4 years down the road for a deep run. The only way to get there is by giving minutes to young players. Lots of depth to shop some prospects for top 4D or top 6F during the season when the room is available. I’m with you and Southside – Sharpie’s 35, which is getting up there in hockey years, plus he’s had physical issues. Bowman, et al. need to give the younger guys more playing time. Can’t have a Cup-winning dynasty every year. The Pens aren’t what I would call a dynasty, more of a fluke. Good on them, though – the ‘Hawks won in the shortened year, so sometimes a team just gets lucky. Jus’ sayin’ . . .
OMB …where are the Hawks going …with those move ? What will they do with the Cap ? We are already over the cap now …Right ? Who will be trade ? Somebody yesterday said Kruger was gone for sure …euhhh. …. when ? When will they decide to finish in the bottom playoff spot and play the Kids ? How can we get faster with older players ???. Just a question about these young players Sharp is supposedly blocking: who are they? There are only three young forwards who I think are worth a damn. Schmaltz, Debrincat, and Hayden. The Hawks are not exactly hemorrhaging quality prospects. I’m sorry but Hinostroza is just not good enough to warrant a spot on this roster and the three I mentioned will get plenty of opportunities so who exactly would you guys prefer over a proven, cheap veteran who can actually score a goal or two. Faceoffs were a disaster — even during the regular season, most noticably when Toews was hurt — no debating this vital aspect. I dont see how Bouma & Wingels solve this problem, or even improve upon it. For comparison purposes, Desjardins is far better than both of them. Sharp is a no risk signing, proven commodity on the cheap; these other two guys simply dont have an identifiable, proven skill that improves the team. As critical as I ve been of Kruger b c of his cap hit and zero offense, this is worse. Lets hope Kero has a major awakening at the dot; that leaves the Hawks to centers shy that can hold their own at the dot. Speak for yourself iceman in regards to Boyle being better than Wingels and Sharp combined. Sharp at 800k plus 200k in games played. If Bowman could make the math work cap wise, there is no question he would have signed Boyle instead of Sharp & Wingels. Im not against Sharp, I still think he has gas in the tank. Its about the need for the team, lets see who is taking faceoffs at a competent, successful rate besides Toews. (Sharp cant do any worse than the remaining centers on the roster). This is the seminal point. Forward Kids waiting to make the Team ….Schmaltz ,Kero ,Hayden, Fortin , DCat ( not ready yet i think ) Baun , Hino , and maybe one or two kids who can surprise the staff .nobody knows who can make the surprise…but one thing is sure ..We Have Kids who are waiting to play ..maybe a guy like Noël or Highmore or Bondra …who knows …i think they are to young but sometime ….?? 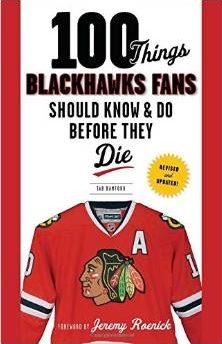 I hope Wingels & Bouma prove me wrong. These types of signings remind me of Pisani, Brunette, etc… circa ’11 & ’12 seasons. I hope I am proven wrong. I would take Sharpy over Dennis Rasmussen who is no longer on the team. Better on pp and pk. Can take faceoffs and knows how to shoot the puck. I think this is a good third line addition. Honestly Hossa wasn’t a first line player last year and spent most of his time on the third line. Now the Hawks have hopefully a decent veteran presence on the third line that can take his place if he can stay healthy. If Kruger is going Q can’t really play only young players on the third line. I see very little risk in this move. Gagner wasn’t coming here for less than what he got in VAN. And, if the Kruger deal was “agreed upon weeks ago,” why hasn’t it happened? DCat, Matthew Highmore, and Fortin, are 3 young guys that I would like to see get more mins. Nate Thompson would have been a nice bottom 6 forward. Already saw a few of the Hawks best guys putting Sharp in the top 6 urgh! None of those guys are ready to play in the NHL (yet). Maybe next year. And Sharp is on a one year deal. My point is, he is in no way blocking any young players with the exception of Hinostroza and Kyle Baun which is just fine with me. And I don’t buy for one second the fact that Sharp will be a top six forward. Even if he is, he’ll be paired with Anisimov-Kane or Saad-Toews so what could he possibly screw up? Him playing opposite of Hartman will be outstanding. upgrades by SB – only downgrades. . Defense is razor thin. Will be lucky to make playoffs. The run is over unless young players dominate. Sharps being a strong handed faceoff guy will be a bonus for whoever 3rd line center ( 67 ,8 ,40, Dauphin) is going to play between Sharp and Hartman. WELCOME BACK PATRICK SHARP! Great price for a player who played most of last season hurt. Hopefully he’ll be in better shape than last year. If he is that’s a great thing. If not; a million dollar game did not pay off; either way I can say I don’t buy into those negative rumors about him. Thanks for three Stanley Cups Patrick Sharp, welcome back and do your best and you’ll be fine.